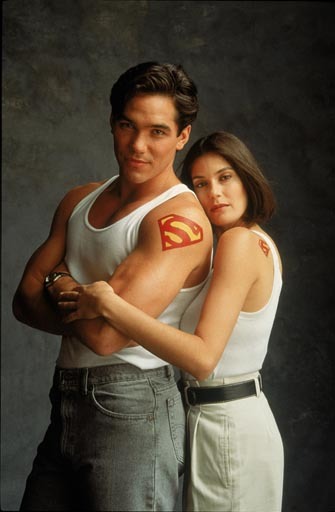 The Hub's new primetime acquisition of '90s drama Lois & Clark: The Adventures of Superman is a "super" hit in the ratings! In a special 6-hour marathon introducing the Hub TV premiere of Lois & Clark: The Adventures of Superman on Sunday (8pm-2am ET) earned year-to-year delivery gains among Women 18-49 (+57%, 22,000), Adults 18-49 (+182%, 62,000), Total Viewers (+142%, 157,000) and Households (+119%, 118,000). In the Sunday 10pm timeslot, Lois & Clark: The Adventures of Superman delivered year-to-year delivery gains among Kids 6-11 (+145%, 27,000), Kids 2-11 (+300%, 44,000), Women 18-49 (+867%, 29,000), Adults 18-49 (+833%, 84,000), Total Viewers (+781%, 229,000) and Households (+605%, 148,000). 229,000 total viewers is not bad for The Hub. The new acquisition will air every Sunday night in this same block from 8-11pm ET with an immediate encore from 11pm-2am. I watched the first three episodes on The Hub on Sunday and I'm hooked all over again (and I have watched every episode on ABC in the original run, in syndication on TNT/TBS and own all seasons on DVD!). The series features the daring exploits of the legendary Superman in an exciting, action-packed hour-long series featuring iconic comic book characters Clark Kent (Dean Cain), his superhuman alter ego and Lois Lane (Teri Hatcher) in the most unrequited romance of all-time. The Hub also introduced '80s sitcom ALF on Monday, as it airs Mon-Thurs at 8:30pm leading into summer sitcom marathons from 9-11pm. If and when they announce the premiere week ratings for ALF, we will certainly let you know how that alien life form did! See a full list of nominations from other TV genres. And visit their official website for more details on these awards and who votes.